Now, here’s my confession: I was faking it. I took Sarah’s seminar last March and started trying the “clicker thing” with a couple of clients as soon as I got home. I’ve been training dogs professionally for about 6 years and have done marker training before but I had never used a clicker to deal with reactivity. I gave this client a clicker and bait bag and told her that we were going to try out this new stuff I had learned. She knew I was experimenting with her and her dog and she was willing to give it a shot. There was no question in my mind that click-for-looking/click-for-looking-away works. I was just crossing my fingers that I could get it to work for Fred and his mom. 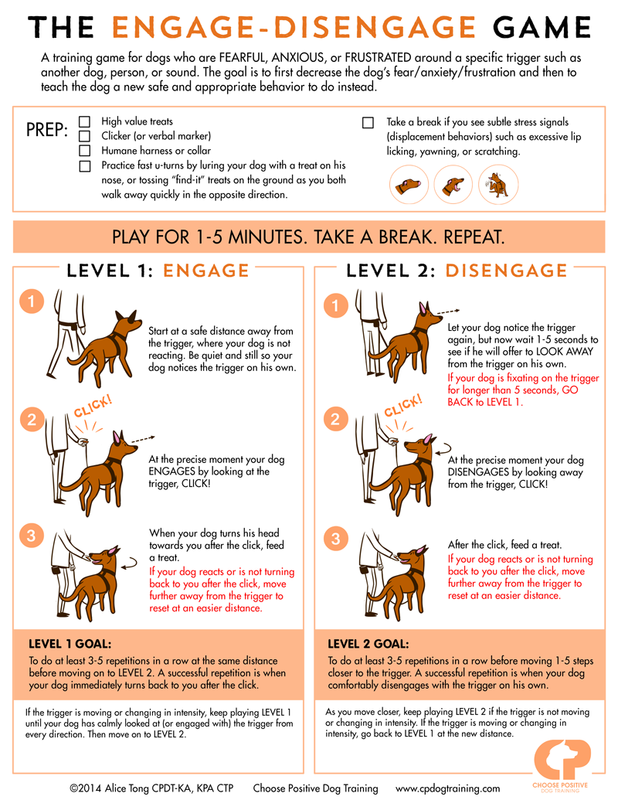 I’ve been struggling for a long time with how to help clients with reactive dogs. Way too long. This is not the first reactive dog that I’ve graduated since taking Sarah’s seminar but the feedback on this one is immensely satisfying. Thank you Sarah!